Glance at the tech section of any major media outlet today and it quickly becomes apparent that financial technology (Fintech) is the latest “it” sector in tech. Investor hype has hit a fevered pitch and for good reason. Fintech is providing individuals and businesses with ways to save money, get paid faster and manage their money more efficiently. They are finding new ways to provide personalized services anytime, anywhere, and on any device. Financial services companies like banks, insurance companies, investment firms, and mortgage brokers provide the backbone to our economy. But, with long corporate histories and well-entrenched best practices, many of these financial services companies still offer some of the most old-fashioned, analog customer services in existence. Take the insurance industry as an example. The onerous task of making an appointment with an insurance rep and spending a great deal of time wading through pages of paperwork has been the norm customer experience for decades. Now, Fintech solutions are finding ways to provide consumers with the convenience of being able to get educated on, receive a quote and buy an insurance policy from the comfort of their home in less than 15 minutes. Tablet and mobile platforms are increasingly becoming the preferred channel for consumers to manage the financial aspects of their lives. And the numbers are increasing rapidly year-over-year. 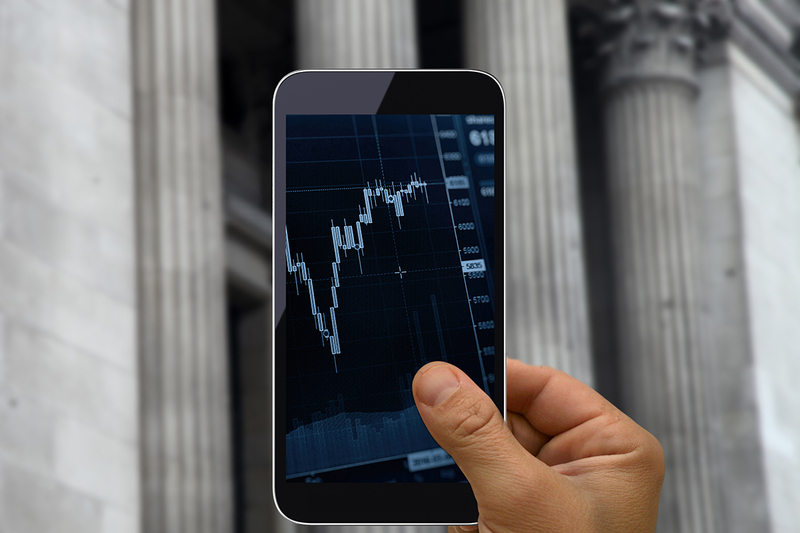 The US Federal Reserve reports annually on the growth in mobile financial services and their latest numbers show that over half of the US population carrying smartphones are using mobile financial services. With changing usage habits also come changing expectations. Customers expect consistent and integrated services across all their preferred channels. Loyalties and business will land with those who can leverage data and technology to deliver personalized services and advice to enhance their customers’ financial awareness. The demands of a highly mobile digital consumer have set the bar high for financial services companies. A scan through the reviews in the finance category on any app store will quickly reveal the highs and lows of meeting or missing consumer expectations. Simplicity of design, the removal of friction, and the ability to improve the customer experience are key ingredients to a successful app. If you are an established financial services provider or a new entrant to Fintech, here are some best practices to make sure you have success and build loyalty through the mobile channel. The highest performing apps on the app stores have an intuitive user interface and are filled with critical functionality. People want to be able to do everything they can in other channels (including in-person) on their mobile device. Evidence of this is obvious when you start scrolling through reviews on the app stores. As an example, on Apple’s Canadian App Store Tangerine is among the top five banking apps and has earned a 4-star rating. People applaud that “you can do everything on this app” and also award points for the “clean design”. TD, one of the big 5 Canadian banks, has earned the top search result position and has positive reviews for “great features” and that it’s “easy to use”. Their 3-star rating stems from negative reviews when a feature was removed (mobile app users could no longer view their investments). Great design and a full suite of functionality are the themes that run consistently through 4+ star ratings and rave reviews. At the other end of the scale poor design choices, technical issues and missing functionality earn critics and one-star ratings. The ability to remove steps or make a current process easier for people to perform is key to success in any app, and Cover is an insurance app that has knocked this one out of the park. This app has a 4.5 star rating and people are not shy about sharing their love for it. “So easy to use”, “great experience”, “saved me money”, and “saved me hassle” are just a few examples of why their app is #1 in the insurance category. Competition is high in financial services making customer retention and loyalty a top marketing priority. With research reporting that high quality customer service is a key reason customers will switch to another financial institution, providing the digital consumer with a robust, personalized mobile experience is a must. Successful financial services apps will leverage user insight to improve the functionality and create personalized experiences. To achieve this, institutions must leverage customer data available through different systems including core service platforms, CRM, and web analytics. Advanced analytics can enable features that leverage predictive analyses, Big Data analytics, simulation, optimization, and location-based intelligence. The vast majority of apps are downloaded, used once, then abandoned. The ability to encourage greater user involvement that will increase loyalty is critical. The ability for customers to manage, monitor, and plan for their financial wellness on their mobile devices provides an app the opportunity to become a “first screen” app with daily or weekly engagement. Companies that fail to provide this level of personalization and service have received reviews like “waste of code” and “do not download”. Finally, for your app to be successful you must do the legwork to ensure your customers can find it when they come looking. The first and easiest step is to make the link obvious from your website. It is astounding how many companies fail at this very basic step. Loans, mortgages, and payments are the basis for any bank’s business. And yet when you search those terms on the App Store, none of the banks show up in the top 15 results. However, in another Canadian app store example, an app called Canadian Mortgage shows up #1 for loans & mortgages and # 3 for payments. While we don’t have access to usage statistics, it is easy to see that they have a 5-star rating, great keyword density, and 2,801 reviews to help boost their rank. Keeping these best practices in mind as you build and launch your mobile app will keep you at the front of the pack while momentum continues to build in the mobile financial services space. And of course, if you are in the market looking to develop an amazing mobile experience we’d be happy to help.